Summer is the season of patios, simple meals and outdoor cooking. This season, Master Chef Canada’s Julie Miguel has partnered with Maple Leaf foods to create simple family-favourite recipes to inspire summer entertaining. From hot dogs to ham and everyone’s breakfast favourite, bacon, all of these recipes have been made with real simple ingredients you can feel good about feeding to the whole gang. Here’s our favourite recipe pick! In a large bowl, combine ham, cabbage, carrots, asparagus and scallions. Add in flour and toss to coat evenly the vegetables. In a separate bowl, add eggs, cheddar, salt and pepper. Whisk to combine. Pour the egg mixture over the cabbage mixture. Stir to combine and evenly coat the vegetables. Heat a large, heavy frying pan to high heat. Add canola oil and let the pan continue to warm up. Pour mixture, 1⁄2 cup at a time, into the pan, making sure they do not overlap in the pan. Using a spatula, slightly flatten pancakes so they spread out slightly. Cook until the edges turn golden brown, about 2 minutes. Flip pancakes and cook for another 2 minutes or until golden brown and cooked through. 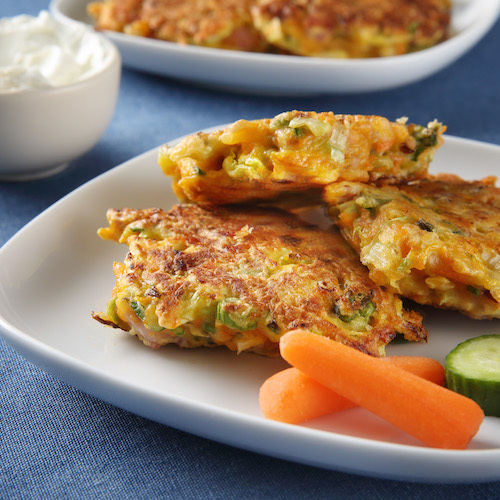 Continue cooking pancakes in batches, removing any stray crispy vegetable or egg pieces. Refresh the oil every few batches to avoid getting burnt bits in your pancakes. Remember to allow the oil to heat before adding in your next batch. Store in a sealed container, refrigerated, for up to 4 days. Serve pancakes hot, warm or even cold – they taste great any way you serve them! -Because of the big batch, you might find it easiest to do the mixing with clean hands versus a wooden spoon or spatula. -Depending on the size of your frying pan, you can make the pancakes in batches of 3 to 4 at a time. -You can reheat the pancakes in a toaster oven, microwave or frying pan until warm. 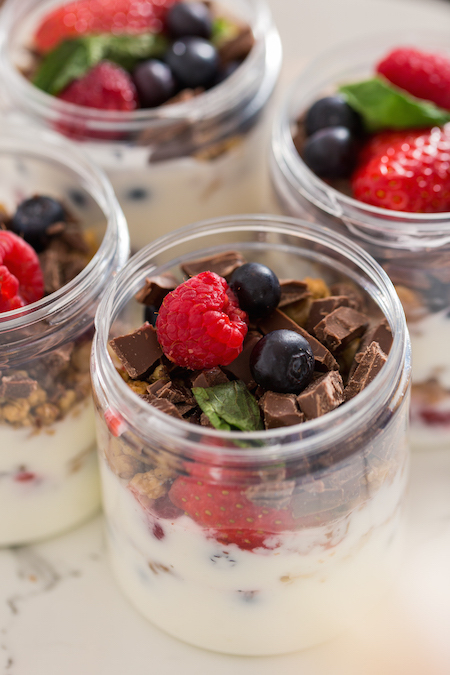 Maple Leaf Foods is removing all artificial preservatives, flavours, colours and sweeteners from its products as the company advances its commitment to be a leader in sustainable protein. The change is grounded in Maple Leaf’s largest ever consumer research project which showed that Canadian consumers are increasingly interested in their food and its production, seeking responsible food options that they can feel good about. 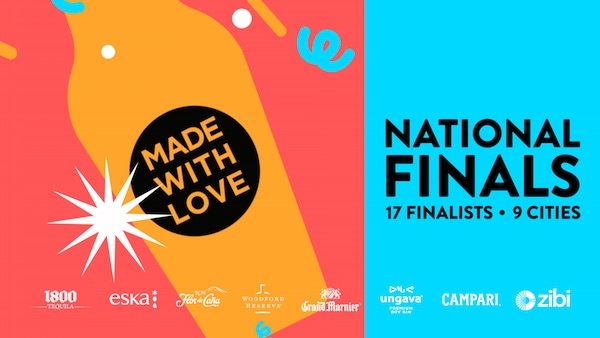 Details: The 2017-2018 tour of Made With Love, the most extravagant mixology competition in Canada, comes to its conclusion with the ultimate and most spectacular stage of the competition: the National Finals! On April 30th, Ottawa will be hosting the final event, which will challenge the 17 finalists who achieved to carve out their place competing at the nine Regional Finals across the country this year! For this final challenge, which brings together Canada’s most passionate cocktail-makers, the event will take on the vibe and feel of a show inspired by music! The barchefs will have to create the best cocktail they can imagine by drawing upon a soundtrack of their choice. – The Blue Diamond Growers cooperative has been growing almonds on the beautiful orchards in Sacramento, California, for over 100 years. -Blue Diamond’s 3,000+ growers range from first-to-fourth-generation almond-growing families. Having perfected their craft, each carton of Almond Breeze is delivered with carefully selected almonds you can trust and family pride in every drop. -California produces over 80% of the world’s almond supply. -Almonds are 100% dependent on honey bee pollination. When the California almond orchards bloom, more than a million colonies of honey bees are placed in the orchards to pollinate the crop. Directions: The day before, freeze some Almond Breeze into ice cubes. An hour (or more) before making your shake, heat 1 cup Almond Breeze and let it cool in the fridge with 2 chai tea bags to infuse. 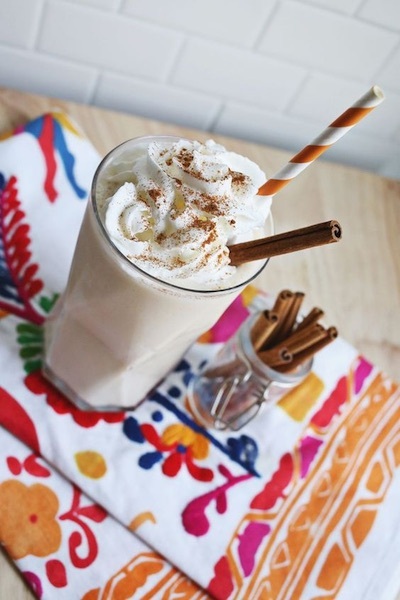 In a blender, combine the infused Almond Breeze; 4 scoops frozen yogurt; 6 Almond Breeze ice cubes; 1 pinch each ground nutmeg, cinnamon, and ginger; 1/4 teaspoon pure vanilla extract; and 1 tablespoon honey. Blend to perfection! Top with whipped cream and cinnamon. Garnish with a cinnamon stick. Enjoy! 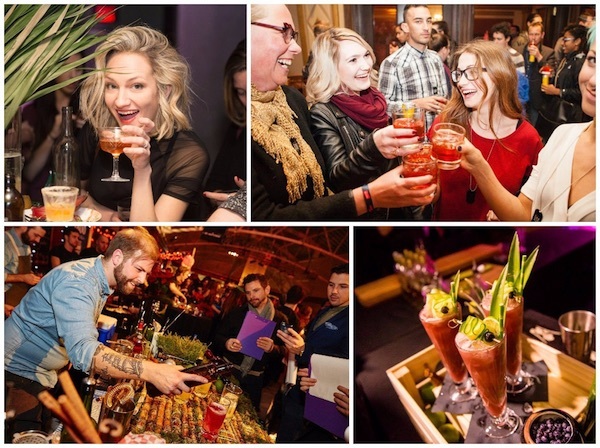 Made With Love – Mixology Competition Returns to Toronto! Cost: 65$ – General admission; 75$ – At the door. On sale at all participating establishments and www.enjoymadewithlove.com. Ticket prices include a complete tasting of all showcased cocktails, a selection of food-pairings, a Red Bull cocktail, and the privilege to vote for your favourite cocktail creation and favourite Barchef. Details: Made With Love – the most extravagant mixology competition in Canada – is returning to Toronto for it’s 9th edition. The city’s Regional Finals will take place at the The Fermenting Cellar, and will undoubtedly impress cocktail lovers who are on the hunt for some out-of-this-world flavours. Join us for a spectacle offered by the industry, where the city’s Barchefs will gather to highlight Toronto’s cocktail culture. The most talented Barchefs from the Toronto community are warming up to compete at Made with Love! These regional finalists will present exclusive cocktail recipes to impress a panel of renowned judges and our guests. Judges and attendees will face the challenging (and delicious!) task of tasting and evaluating their creations based on originality, creativity and flavour balance. The Toronto Finalists are: Adam Karpowicz (Boutique Bar), Josh Mellet (Barchef), Matthieu Rajchman ( Skin+Bones), Michele Maffei (Noce), Chris Flink (Broadview Hotel), Marian Walsh (West End Social), Tyler Della-Nebbia (Dolly’s Mojito Bar), Eric Carter (Born And Raised), Tony Da Silva (Broadview Hotel), Jillian Linton-Walsh (Two Black Sheep), Nathanial Jai (Lopan & Dailo), Shanelle Munjal (Toronto Drink Factory), Axl Gonzalez (Los Colibris), Harrison Lee (The Diplomat), Albert Chan (Neat), Michael Long (Door Fifty Five), Luis Martinez (Mayrik), Julia Klara (The Cloak Bar). The two crowned winners of each category, Public’s Choice and Judges’ Choice, will represent Toronto at the National Finals taking place in Ottawa in May 2018. The finalists will try to win the coveted title of best Barchef in the country, and have a chance to win one of 11 trips to one of the Made With Love affiliated distilleries: 2 trips in Italy with Campari, 3 trips in Nicaragua with Flor de Cana, 2 trips in France with Grand Marnier, 2 trips in Kentucky with Woodford Reserve, 2 trips in Spain with Made With Love!